Preheat oven to 375°F. Roll out each piecrust and trim the edges to form a large square. Cut into 6 equal squares. 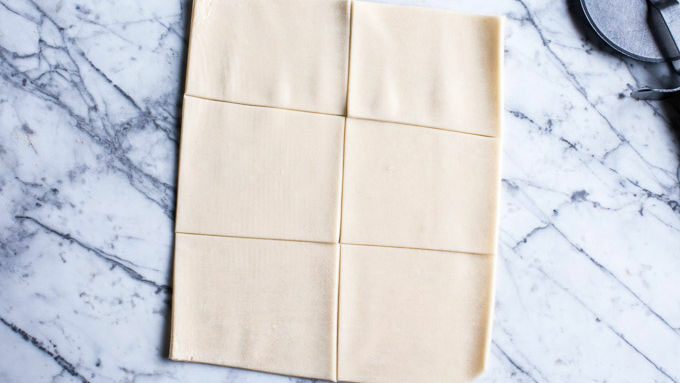 Turn the square of dough so it's shaped like a diamond, with one tip at the top and one at the bottom. Spread 1 tablespoon of the marshmallow fluff in each square, forming a thick line from the top corner of the square to the bottom. Sprinkle with mini chocolate chips and graham cracker crumbs. Fold the side corners in and over. Place on a baking sheet. Repeat with remaining dough. Bake for 15 minutes or until the crust is lightly browned. If desired, dust with cinnamon sugar or powdered sugar. Add favorite ingredients like peanut butter and chocolate-hazelnut spread to customize the flavors! 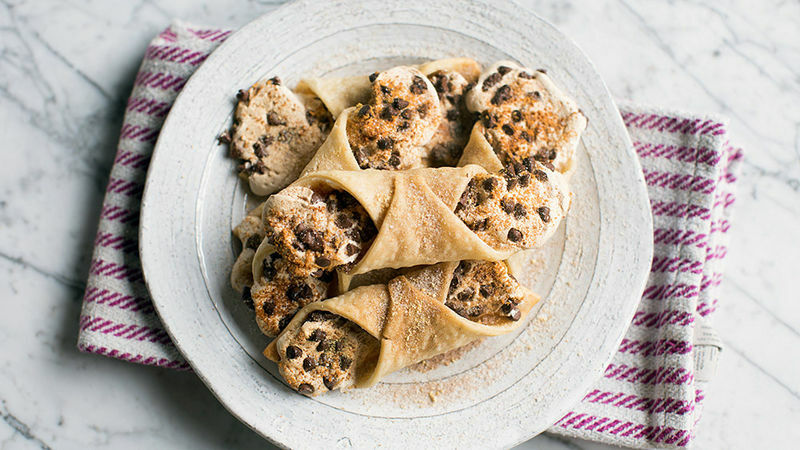 Easy little wraps enclose s'mores filling for a tasty treat without the fire! Summer is just around the corner, and that means it’s high time for a new twist on everyone’s favorite summer essential, the s’more. YES!! I don’t know about you, but come summer I am all about a good s’more. They are quick, easy and quite possibly one of the greatest desserts on earth. They're many people's favorite summer classic that never gets old. 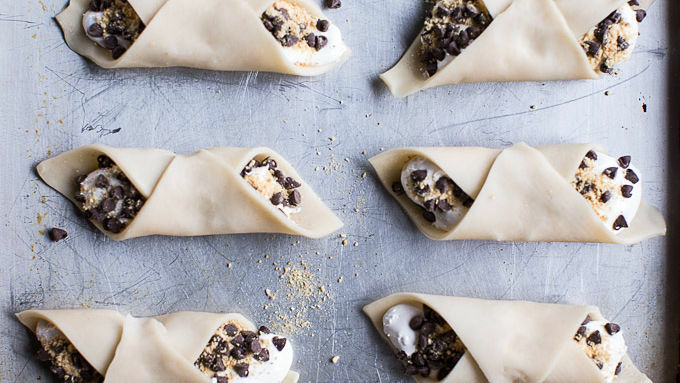 Today we're making mini s’more pie wraps. Why is it that minis are always so much more fun? Oh yeah, because no one feels guilty eating two (or three) minis. Perfect! 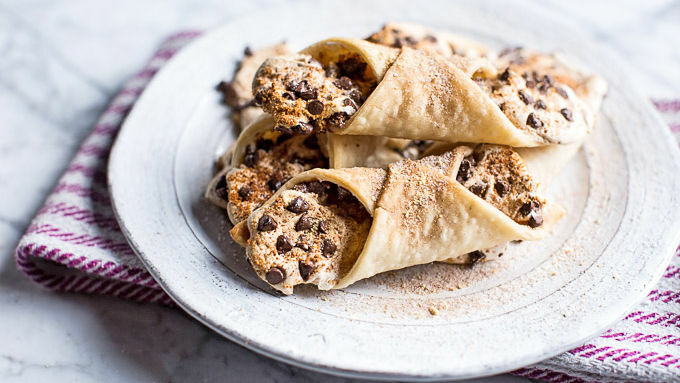 These mini s’more wraps are SO easy and you need only four ingredients: Pillsbury™ pie crust, marshmallow creme, mini chocolate chips and graham cracker crumbs. If desired, dust with cinnamon sugar or powdered sugar. Then serve up some of the most fun and unique s'mores ever!